Born out of one woman’s frustration, AMELIORATE’s creator Annette was desperate to transform her ‘chicken skin’ arms. Having suffered from Keratosis Pilaris from an early age, which results in the development of little ‘plugs’ or goose bumps, Annette decided to take matters into her own hands. 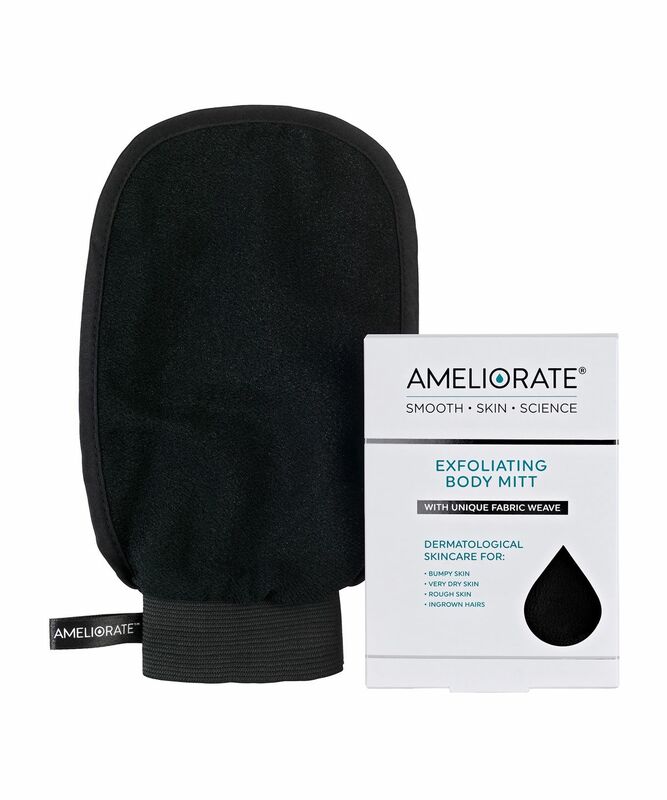 With this ingenious Exfoliating Body Mitt, you can now take matters into your own. It’s crafted from an innovative fabric weave that is gentler than synthetic or natural loofahs and efficiently sweeps away dead skin cells to reveal softer, smoother, healthier skin. It’s perfect for addressing dry, rough skin and minimising ingrown hairs.